Take some time to look at the twine we have for sale here at PT Winchester, we have all popular options sold per kilo, or through a host of different spool sizes. Products within this range include slipping twine which is waxed and has been produced to meet the exacting needs of upholsters or bookbinders, along with tufting twine, a bonded product, and one of the leading buttoning yarns on the market. 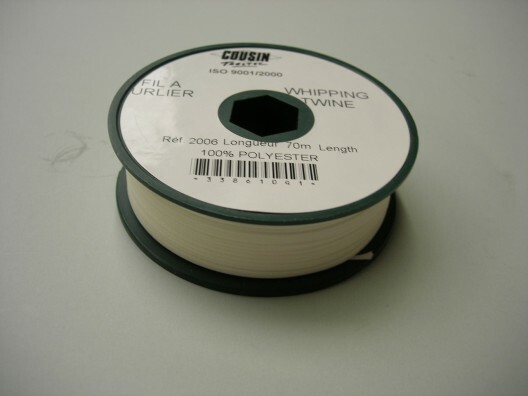 Some of these twines are in natural colours, like our polyester whipping twine. Others are available in your choice of shade, our waxed twine for instance comes in reds, blues, greens or blacks, we also stock sand, dark brown and natural colours if you prefer. Choosing this premium quality sewing twine is very easy, simply pick the product, select the colour and tell us the quantity you require prior to adding to your online cart. You should be able to find the twine you want with relative ease, if you need help at any stage though, or simply want to discuss any of our threads in greater detail, all you have to do is call us on 01823 431885.